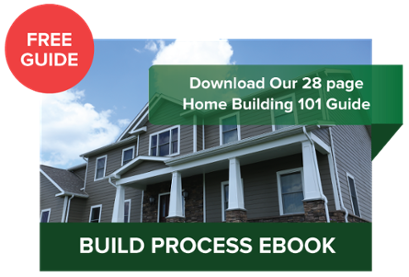 Building a Home in West Virginia: What's Right for You? Figure out what features/upgrades are important to you. Don’t go cheap on items that are not easily replaced. Be certain in the design and features of your home. The less change orders, the better! Get furniture and appliances ahead of time when they are on sale. Vision Homes understands that setting a budget is essential and can be very exhausting. With seemingly unlimited choices and decisions to make, a budget can quickly become inflated. However, we do our best to assist you in your decision making and the overall plan/design of your home. With all the options to pick from, whether it be the type of countertop in your kitchen or which type of siding for the exterior of the house, there are decisions to be made. You can cut costs without cutting corners, and it’s easy to save a little in some areas if it means being able to spend more in others. For instance, someone who loves to cook and spends a great deal of their time in the kitchen, may want to splurge on the kitchen and all its features rather than the features in the master bedroom and bathroom. With Vision Homes, once you have decided to move forward in the home building process, we can assist you in selecting all the features from start to finish. We offer all kinds of different options for our features, which allow you as the customer to pick what is best suited for your budget and your new home. It ultimately comes down to you choosing what is most important to you and what will best fit your budget. We are here to help every step of the way and can show you how to save some money if you need the assistance. Dave, our salesman, and Twila, our selection specialist and administrations manager, have helped our customers for years now and are able to give their expert opinion and advice throughout the entire process. Give us a call at 304-296-0024, and we can get started on building you a house you’re proud to call home!